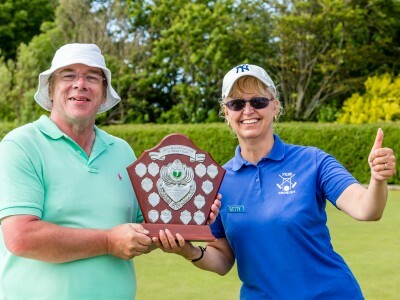 The North West Federation of Croquet Clubs held its annual Club Championships at the Southport & Birkdale Club (S&B) over the weekend of 27th and 28th June 2015. This was the 21st Year of the Championships – a Festival of Croquet – which is possibly the largest annual gathering of Croquet players in the world. The Southport and Birkdale Club managed to produce 16 courts on 13 ‘full size’ lawns including 7½ full size equivalent on the Club’s north lawns. This year the lawns were in excellent condition and David Key, the Lawn Manager at S&B, is to be congratulated on his work. Some 265 games were played requiring 85 players to be ‘on the lawns’ for any one round (including those who helped as part of the Manager’s Select short croquet team), but most Clubs brought extra people to give all of their members the opportunity to participate in this very special event. In all we estimate the number of individual participants to be in excess of 100 over the two days. Saturday had been touted as a warm sunny day all week and it turned out to be just that. The forecasters had predicted a wet start for us on the Sunday but the rain arrived earlier than expected leaving a cloudy morning which brightened into a lovely summer afternoon. The overall Championship was won by Bury, (third in 2014), with Bowdon in second place, Southport finishing third. Bury and Bowdon each had 21 points but Bury had won a Championship Event (Short). There were nine entrants of three person teams in the Golf Croquet Championship which was won by Chester with five victories from eight matches, including, importantly, a victory over Bowdon, also with five wins. The Short competition, also best of three per match, was won by Bury with five wins from six matches. 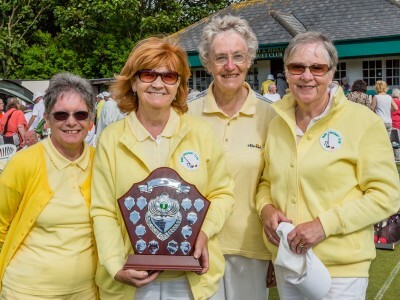 Westmorland finished in second place with Southport in third place having lost to the runner up. 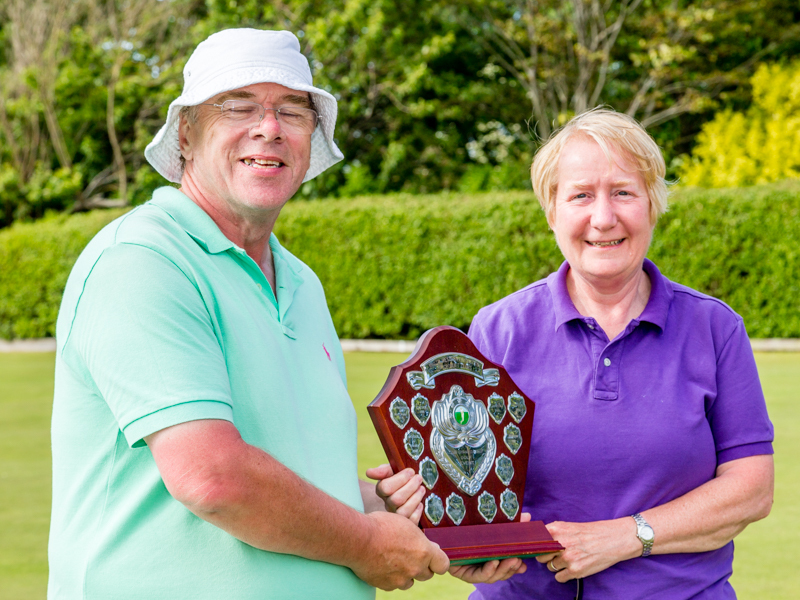 For the third year in succession eight teams competed in the Handicap event which was played as an 18 point over 2¼ hours. Fylde was the worthy winner having won six of the seven games losing only to second place Bowdon. Advanced play continued as a doubles event and was won convincingly by the Fylde team with Southport finishing in second place. Short Croquet matches were all double banked. However, players were given plenty of time (1½ hours) to complete games and the 15 minute changeover allowed enabled them to relax a little between games. 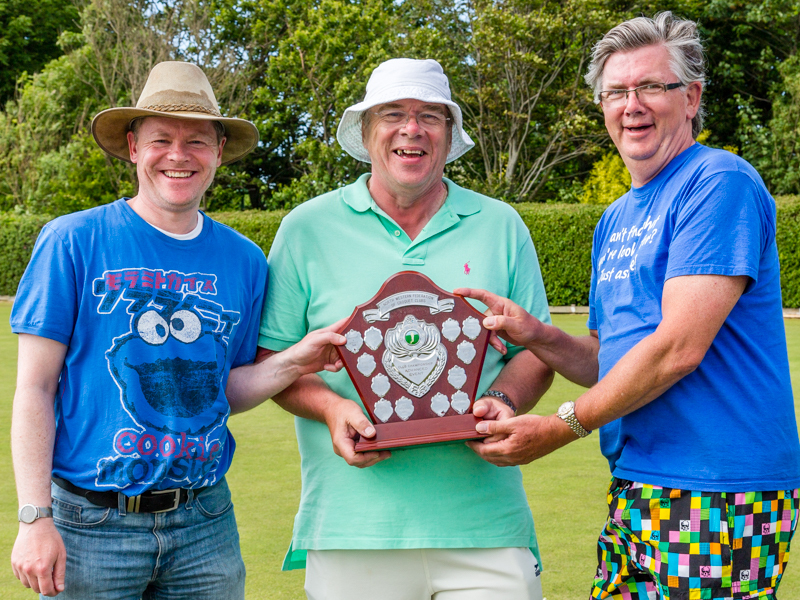 Golf Croquet players faced a little more time pressure with just 5 minutes allowed between matches. They responded admirably and the Championship Manager was both surprised and delighted to see the declaration of results which included a drawn game and teams keeping to the schedule. Only one Handicap game had to be stopped by the manager at 4.30 on Sunday enabling results to be co-ordinated and tables prepared in good time. Gary Wilson, the Chairman of the North West Federation began by thanking Keith Roberts, Championship Manager and Liz Wilson who provides vital support to the Manager and undertakes a great deal of liaison with NWF Clubs. Gary went on to thank the Southport & Birkdale Club, its officers and members for their hard work in preparing for this annual event, the Event and all of the other people who stop the event leaking at the seams. The participants were also thanked, having travelled at no little expense from North East Lancashire, Cumbria and the Isle of Man. Once again, first time participants (referred to as virgins by some in the audience) were invited to stand and applauded, they included the Craig y Don contingent. Keith then took a brief opportunity to give a personal thank you to his Event Managers, without whom the weekend would not flow as it so often does. Gary presented the Winners Shields and the overall Champions Cup. The presentations concluded about 5.15 enabling everyone to get away at a convenient time. I say everybody but the Southport members still had to finish clearing away equipment, tables/chairs and gazebos before they went home.